Todd Phillips takes one final stab at a franchise that didn’t need to go beyond the first film and after Part II, which was a carbon copy of the original, I’m sure Phillips and company wanted to go out on a better note, not unlike American Reunion following the awful American Wedding. 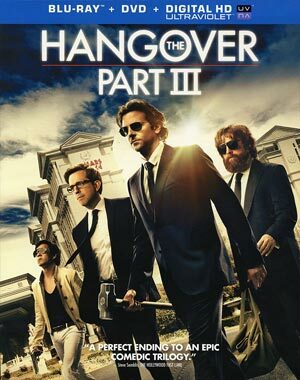 So with that we get The Hangover Part III, a film that was hardly necessary and compared with the other two does tend to play it safe, although it is a step up from the second film in terms of quality. The story this go around finds Alan (ZACH GALIFIANAKIS) causing more chaos as he’s towing a giraffe he’s just purchased and, as seen in most of the trailers, gets its neck cut off going underneath an overpass which in turn causes a freeway pile up. Alan’s father (JEFFREY TAMBOR) once again has to bail out his son and the stress of the situation gives him a heart attack and he dies. We then of course get an awkward speech by Alan at his pop’s funeral. 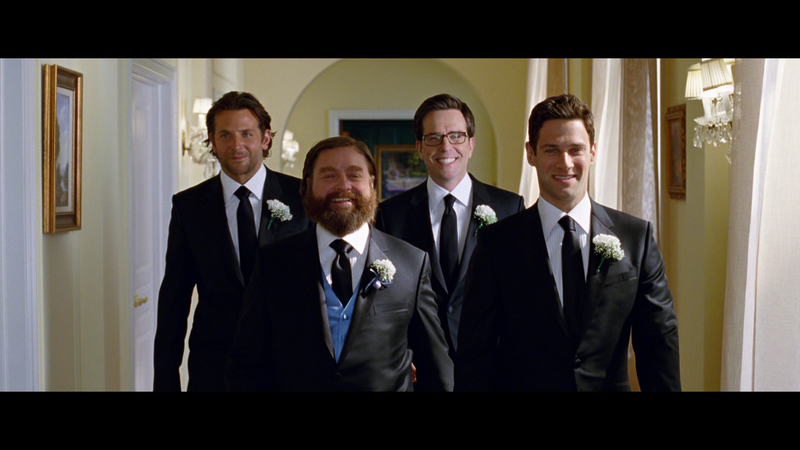 Afterwards, Alan’s friends and family feel he needs an intervention and to be sent to an institution in Arizona to get help and at first Alan accepts getting a ride from L.A. to Arizona by his Wolf Pack buddies – Phil (BRADLEY COOPER), Stu (ED HELMES) and Doug (JUSTIN BARTHA), though the latter I supposed is he’s always missing and this movie is no exception. But along the way they get into a car chase and eventually crash ending up in front of drug kingpin Marshall (JOHN GOODMAN) and he is out for revenge when Mr. Chow (KEN JEONG), who at the opening escapes from the Thai prison, as Chow had stolen $21 million worth of gold bars which had been stolen by Marshall’s men. Marshall wants to find Chow by going through Alan as he had been communicating with Chow. Marshall demands they find Chow and as insurance, he takes Doug captive and if they don’t deliver Chow in 3 days, Doug is a dead man. Now Phil, Stu and Alan are once again caught in a predicament and come up with a plan: After setting up a meet in Tijuana, they utilize Stu’s ability to get prescription knock-out drugs and then deliver and exchange Chow for Doug. However, of course nothing goes to plan as Chow knows something is up, however, he still decides to help them by retrieving the gold from his old home, which had been confiscated and sold after his arrest, hidden behind a brick wall. At this point, in fact some minor scenes as well, I thought I had turned on some messed up version of Ocean’s Twelve between a heist subplot and some action scenes. It’s a weird mixture and strange change-up especially considering for a movie titled The Hangover, nobody actually gets one, until a post-title scene. In any case, Chow double-crosses them, they get in a heap of trouble with Marshall, must again track down Chow and find he’s gone to where this franchise began: Las Vegas. They follow a crumb trail starting at a pawn shop and the owner, Cassie (MELISSA MCCARTHY) and its love at first sight for Alan. Tomfoolery and shenanigans proceed as they track Chow holding a crazy, and coked up, party. 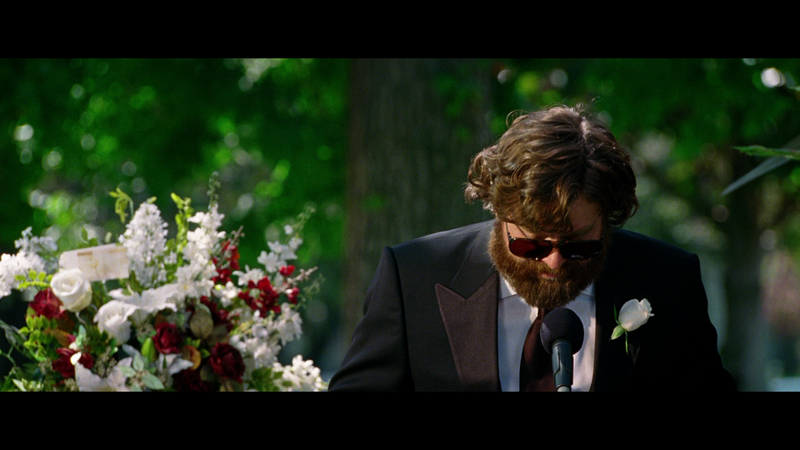 There’s really not a whole lot to The Hangover Part III. First, on the positive front, the writing isn’t as lazy as the sequel and actually came up with storylines or situations that weren’t merely copied from the original and the comedy itself, when not mean spirited when it came to the animals (the giraffe and chicken specifically), actually worked well garnering a chuckle or two out of me. On the negative side, even at only 100-minutes the material does run thin and while I did laugh a couple of times, there were plenty of other scenes where I sat in stone cold silence. Director Todd Phillips finish to his franchise has its moments and the characters and actors seem to have a good time of it, but this ran two movies too many for something that was a surprise box office hit. Thanks to a poor reception for the sequel, despite near record-breaking numbers for its sequel, this third entry left in a whimper taking in a *mere* $350 million worldwide (compared with $587m and $468m for the first two respectably, however). Quality wise it’s not bad but clearly it has run its course. 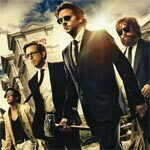 If you enjoyed the first two Hangover movies, Part III might be satisfying enough though many have complained there are no hangovers and the comedy is lackluster. For myself, as someone who loathed Part 2, I enjoyed this entry for what it was but I can hardly give it a glowing recommendation and say it might be worth a rental at your closest Redbox. As with most Warner releases, this comes with a glossy slip cover. Inside is a download code of the UltraViolet Digital Copy. Replacing Zach: The Secret Auditions (6:09; HD) is a mock featurette in which Todd Phillips held auditions with other actors (like Jason Sudeikis) to become a member of the Wolf Pack. The Wolf Pack’s Wildest Stunts (5:10; HD) – Witness the fun and fear the cast had pulling off the biggest stunts and action sequences in the entire series. Zach Galifianakis in His Own Words (2:32; HD) – The actor speaks his mind about everything from his co-stars to his favorite pair of pants, and closing the chapter of one of the dumbest characters on film. Pushing the Limits (3:36; HD) – The cast and crew recount the hilarious and awkward moments of shooting with children and animals who ignore everything you say, rarely hit their marks and poop wherever they want. The Real Chow (5:24; HD) is another mock feature about an investigative report that reveals the “big secret” of Leslie Chow. Seriously, five-minutes? 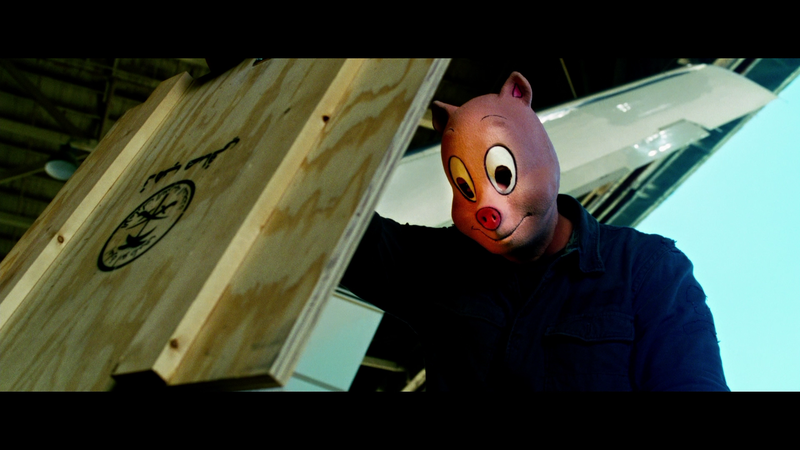 Action Mash-Up (1:09; HD) is a culmination of the action scenes in the movie. Extended Scenes (2:03; HD) are scenes trimmed and/or removed probably for pacing issues. Outtakes (7:51; HD) of the cast having a good old time with some line-o-ramas and general on-set shenanigans. 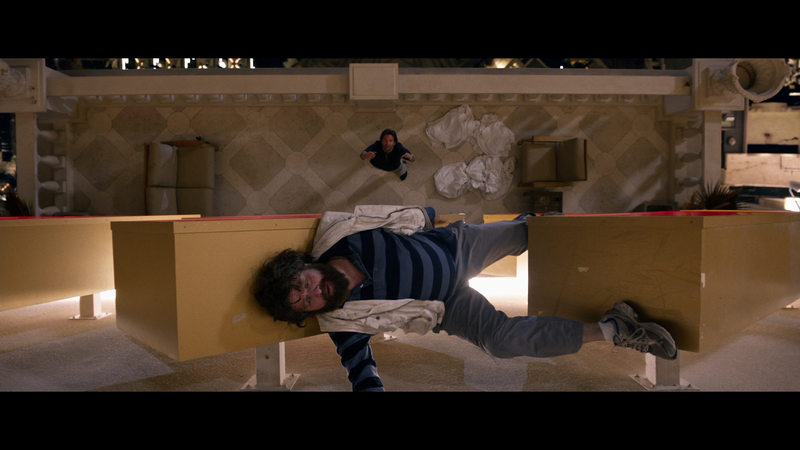 Warner Brothers releases The Hangover Part III onto Blu-ray presented with a 1080p high-definition and its original 2.40 widescreen aspect ratio. Honestly, and this goes for the audio as well, this film should not look (and sound) as good as it does. The detail levels are excellent and the colors are nice and warm throughout. There are no signs of banding, artifacting or pixilation and while there is some natural film noise, it’s not distracting. The disc includes a robust 5.1 DTS-HD Master Audio track and for a comedy, there’s actually a fair amount of action to showcase the lossless track while dialogue levels are also crisp and clear throughout. Overall, The Hangover Part III by definition as unnecessary but despite two cruel scenes as well as some scenes that just didn’t hit the mark, I still enjoyed this sequel although I’m not sure if it’s because it’s actually funny or if it’s relative to the fact Part II was a complete rehash of the first sans laughs. In any case, I’m not giving this a glowing review for the obvious reasons however it is at least worth a rental. The Blu-ray itself offers up excellent audio/video transfers while the features at lackluster.